Agspring has named Josh Skatvold assistant vice president of transportation and supply chain. In his new position, he is responsible for overseeing all rail and truck logistics at Big River Rice and Grain in the Mississippi Delta region and for Thresher Artisan Wheat, Agspring’s operations in Idaho. “Josh’s significant skills in supply chain management will greatly enhance the Agspring customer base by providing consistent just-in-time delivery by truck or railcar, and by managing the Thresher private railcar fleet,” said CEO Mark Beemer. Skatvold has 20 years of industry experience, including expertise in supply chain logistics, negotiating rail rates and tracking plant inventory levels to prevent operational disruptions for customers. Before joining Agspring, he had served since 2015 as senior manager of transportation for Tyson Fresh Meats in Dakota Dunes, South Dakota. Skatvold was responsible for managing shipments of tallow, meat and bone meal and refrigerated meats. He also managed and analyzed rates for ocean container shipments for Tyson. 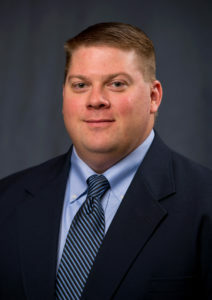 From 2014 to 2015 as assistant vice president – manufacturing supply chain at Aventine Renewable Energy Inc., in Pekin, Illinois, Skatvold was responsible for fleet leasing and negotiation, and for overseeing and managing a track-expansion project to increase unit-train capability for Aventine’s facilities. From 2002 to 2014, he held positions at POET locations in South Dakota. In the first five years, he moved up from commodities assistant to commodities supervisor at POET Biorefining at the company’s plants in Big Stone and Hudson. From 2007 to 2014 with POET Nutrition in Sioux Falls, he advanced from merchandiser to director of distribution. Skatvold is a graduate of South Dakota State University with a bachelor’s degree in general agriculture and a minor in animal sciences.